What does this mean for our beloved historic places? Plastic litters our oceans, pollutes our environment and washes up on the shores of our historic castles and abbeys. On its journey, it may have killed wildlife. The manufacture and disposal of plastic also generates Greenhouse Gas emissions. Alongside factors such as electricity and heat production, these gases contribute directly to climate change and are having a very real impact on our historic environment. 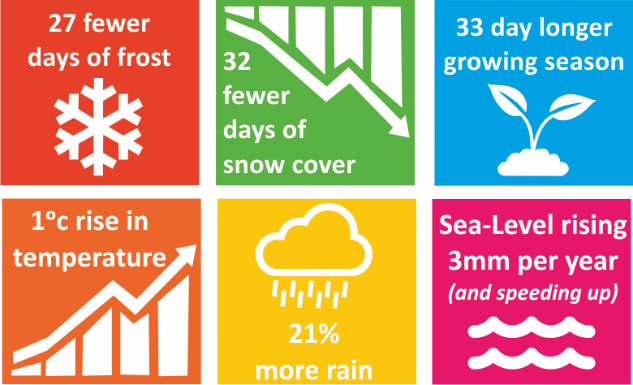 You’ve probably read how climate change in Scotland is contributing to flooding, rising sea levels and increased extreme weather. This is already leading to erosion of archaeological sites on the coast. Meanwhile, changing weather patterns can hit our historic buildings pretty hard, from an increased chance of flooding to how fast the stone used to build many of our monuments decays. Here at HES, we’re committed to addressing the impacts of Climate Change. To make sure our historic environment has a future, we are working on reducing our own carbon footprint, reducing our waste, and ensuring our historic places remain beautiful, litter free and safe for everyone to visit. To champion the cause of going green, this is what we’ve been up to during Plastic Free July. We’re moving to recyclable paper bags for most items in our shops and reducing plastic packaging where we can. 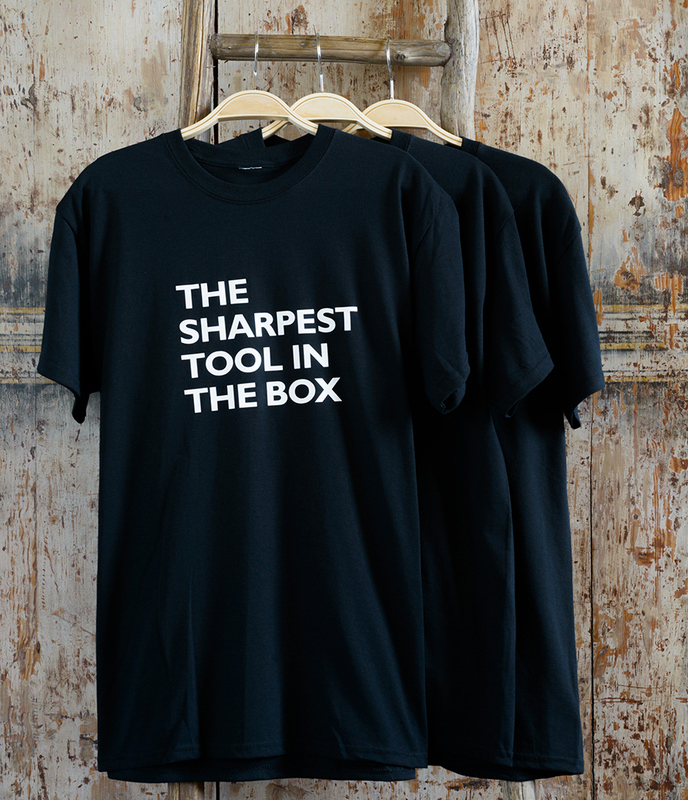 Where space allows, you’ll now find our T-Shirts on hangers instead of wrapped in plastic for customers to take home and we’re looking to reduce labels attached to our products by printing information onto clothing instead. We’ve also replaced plastic handled flags at our Jousting Events with a compostable corn starch alternative. We can still wave on our favourite knights as they go head to head in the jousting arena, but with less damaging consequences for our historic environment! 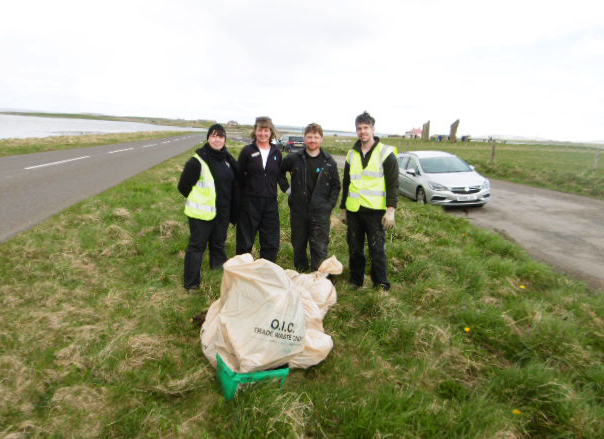 Every year we join the people of Orkney on the beaches, lochsides and verges to take part in the annual Bag the Bruck challenge. ‘Bruck’ is Orcadian for rubbish, and each year participants get an area to clear of it. This protects local wildlife, helps to prevent litter in our oceans and brings people together. On average around 5,000 bags are given out so schools, community groups, local businesses, individuals and families can get collecting. Taking part in local initiatives like this means we can help communities make a real difference. 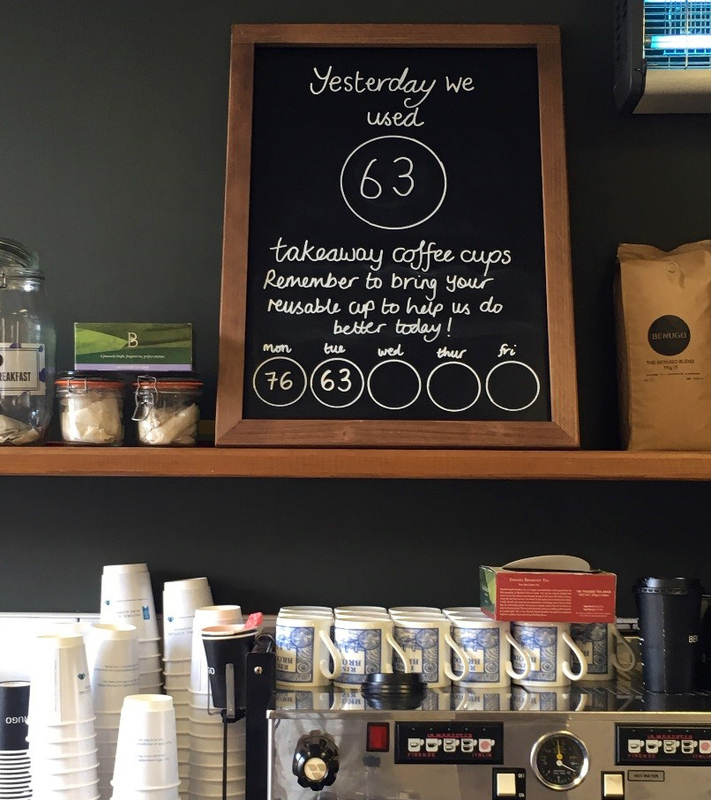 Earlier in the year we joined forces with Zero Waste Scotland in a study to research how people would respond to being charged for disposable cups in our HQ café. While the price of a coffee stayed the same, customers were charged an extra 5p if they wanted a throwaway cup. We monitored sales and found some interesting results. At the start of the trial, use of throwaway coffee cups dropped dramatically – some days only 2 or 3 coffees were sold in disposable cups! Around 11.5% of hot drinks were sold in disposable cups during the March trial, down from the usual 20-30%. Why? We think it might be because many people think of disposable cups as recyclable. 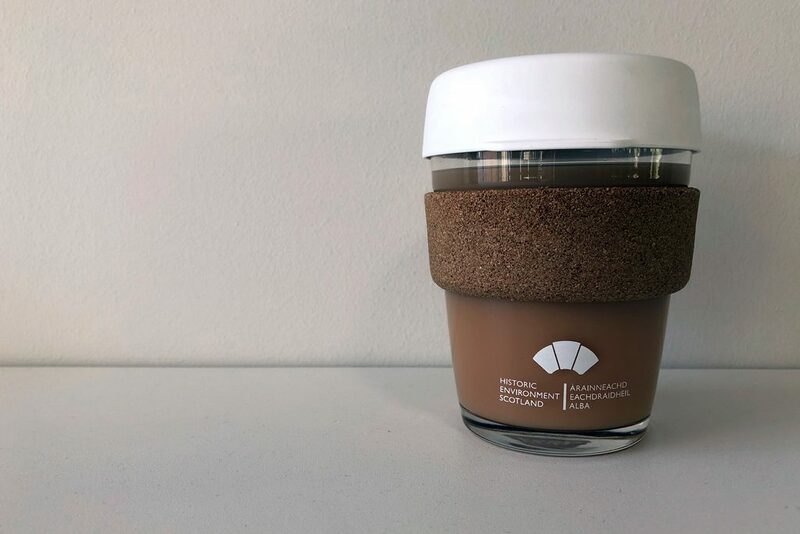 Unfortunately because of the heat-proof polystyrene lining, they are difficult to recycle, and almost all disposable coffee cups go to landfill: around 200 million a year in Scotland alone. Still, the trial showed us that a small change can drastically reduce plastic use. And if we can do it for a month, we’re sure that with a little more thought we can create longer term behavioural change. In fact, Zero Waste Scotland are now reviewing our data to feed into Scottish Government policy. A national charge may soon be on the cards! 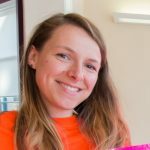 What have you been doing to reduce your eco-footprint this Plastic Free July? Leave us a comment to let us know or find out more about climate change on our YouTube channel.